In November 2008, Sonia Gandhi said that “public sector financial institutions have given the economy the stability and the resilience we are now witnessing in the face of the economic slowdown." Pranab Mukherjee said a few months later, “Never before has Indira Gandhi’s bold decision to nationalize our banking system exactly 40 years ago - on 14th of July, 1969 - appeared as wise and visionary as it has over the past few months." This desi schadenfreude about the Western economies was used to justify a policy that continues to gravely hurt the Indian economy. The government’s control of the banking system is inimical to equitable, rapid and sustainable growth. By controlling access to credit, the government retains enormous discretionary power over a lever that directly affects businesses and consumers alike. The spectre of government interference has spared neither poor farmers nor billionaires. There can be no better way to illustrate this than the ongoing brouhaha over the travails of Kingfisher Airlines. Among other things, businessmen in the aviation sector raise debt financing to purchase or lease aircraft. Like most industrialists in India, they prefer dealing with public sector banks. Managers there are easier to “persuade" when it comes to loan initiation and restructuring. Indian state bank managers have stretched to new depths the triple bottom line concept - the bank’s bottom line, the manager’s bottom line, and the politician’s bottom line, in reverse order of importance. Kingfisher has never made a profit so far. The provision of soft loans or easier debt payment terms by politically-controlled banks without any commercial logic would still constitute a "bailout", even though it would not be called that. The operational aspects of running an airline are also anti-market and rife with government interference. Air turbine fuel (ATF) is a major cost. India’s oil sector is in strict government control, with oil public sector undertakings (PSUs) ruling the roost in the supply of fuel. High ATF surcharges cross-subsidize more politically important fuels like diesel and kerosene that are supposedly used more by the poor. 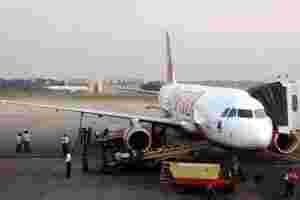 The landing fees for airlines have been high at airports still under the partial control of the union-dominated Airports Authority of India (AAI). The state also bankrolls competing airlines (Air India), and disallows foreign airlines from investing in India. Moreover, whenever private airlines have tried laying off staff, they have at best only partially succeeded because of political pressure. In the case of Kingfisher Airlines, the civil aviation ministry and finance ministry both swung into action to see whether a bailout could be contemplated, even as the opposition protested the bailout of a private company with public money. Strange as it may sound, the government is simultaneously over-taxing and subsidizing all private airlines. This simultaneous taxing and subsidizing is what a crony government does best, retaining the opportunity to arm-twist and manipulate at will. Frederic Bastiat had written, “Government is the great fiction through which everybody endeavors to live at the expense of everybody else." Through its control of nationalized banks, the United Progressive Alliance (UPA) government waived off farm loans in 2008 before the general elections, and this benefited richer farmers disproportionately. More recently, politicians in Andhra Pradesh gave a body blow to microfinance institutions (MFI) by encouraging defaults on private loans. For some, bailing out poor farmers is considered proper, while writing off loans for industrialists is seen as wrong. In the case of Kingfisher Airlines, they may be correct -- but consistency is perhaps the hobgoblin of little minds. The irony is that farmers and billionaires alike suffer the same fate at the hands of a nosy government that wants to needlessly interfere in economic activity. Farmers, of course, have it even worse - the government retains so much influence over their industry that they can’t even price their products themselves. The romanticization of poor farmers prevents us from thinking of them as private sector participants. Various agricultural commodities in India are still subject to strangulating regulations on aspects such as pricing, transportation, packaging and point of sale. Labour and energy markets for farmers continue to be distorted. Inefficient employment schemes make labour expensive during harvest season. Power availability remains inconsistent because most states - Gujarat being a notable exception - do not have the political courage to say no to free electricity. Of course, the effective price of something which is not available is not zero, but infinite. Recently, Uttar Pradesh chief minister Mayawati raised cane prices by ₹ 40 per quintal to appease sugarcane farmers ahead of next year’s assembly elections. This hurts mill owners in the short run, and the setting of prices by government diktat isn’t healthy for the sugar industry. India’s agriculture sector continues to languish relative to other sectors because of this reason -- it has been perennially hemmed in by politicians who have eagerly placed political expediency ahead of economic rationale, at the expense of those they claim to serve. A nationalized banking system is designed to serve the interests of government, not the citizens. Indeed, India would be better served if state-owned banks were privatized instead. The only government which has contemplated the same was Atal Behari Vajpayee’s administration, which brought a proposal to reduce government shareholding in banks below 51% and transfer management control. More recently, finance minister Pranab Mukherjee announced that new banking licenses would be issued - the last one was given out in 2004 - but the government hasn’t made any real moves to implement the announced policy. For inclusive growth and fair access to finance, we need calibrated deregulation and more private banks, not over-staffed banks that expect regular equity infusions from the government. The UPA has pumped in over ₹ 30,000 crore into PSU banks over just 3 years, stoutly refusing to dilute the government’s shareholding. Over the next decade, the banks need over ₹ 4 lakh crore.